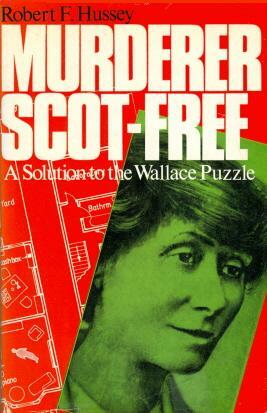 ‘The Wallace murder case might have been devised by Agatha Christie. 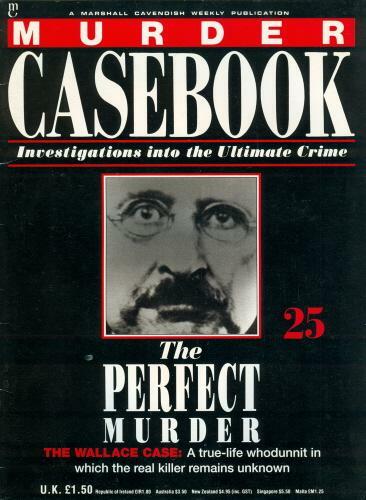 In spite of recent evidence that seems to point towards a solution, it retains that tantalizing quality of a classic unsolved mystery.’ – Colin Wilson on page 31 of Unsolved Murders and Mysteries edited by John Canning (London, 1992). 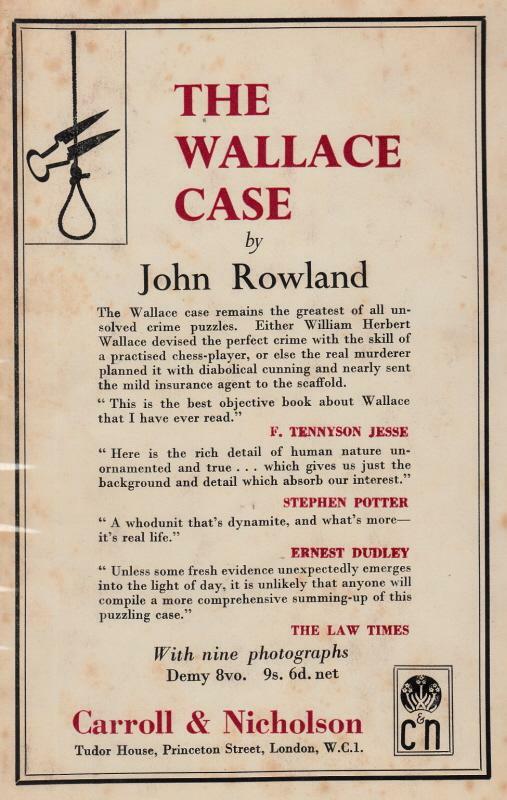 ‘The Wallace case is the nonpareil of all murder mysteries ... I call it the impossible murder because Wallace couldn’t have done it, and neither could anyone else. ... The Wallace case is unbeatable; it will always be unbeatable.’ (Raymond Chandler, in Raymond Chandler Speaking). 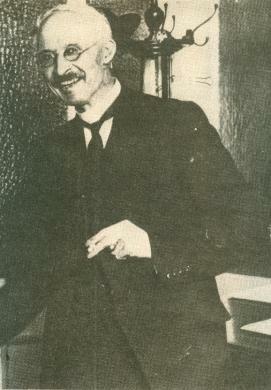 On the evening of Monday, 19 January 1931 W.H. 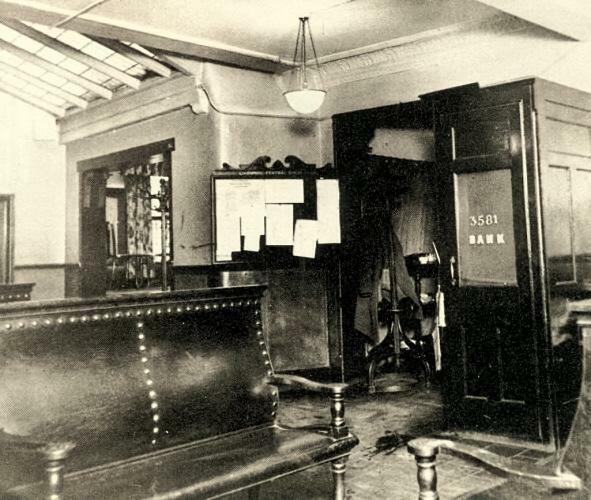 Wallace, a 52-year-old insurance agent, went to the Central Chess Club in the basement of 24 North John Street, Liverpool, England. 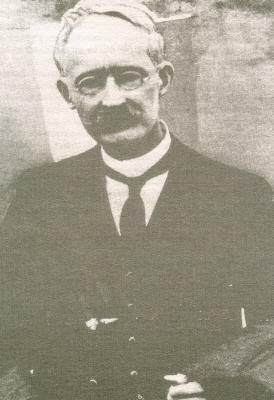 The club captain, Samuel Beattie, gave him a telephone message from a call received shortly beforehand: a man identifying himself as R.M. 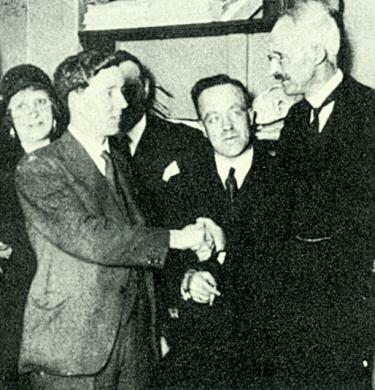 Qualtrough wished Wallace to visit him, on insurance business, at 19.30 the following evening at 25 Menlove Gardens East, Liverpool. Wallace eventually decided to keep the appointment, but no such address existed (although there were streets named Menlove Gardens North, South and West), and he returned to his home (29 Wolverton Street, Anfield, Liverpool) at about 20.45. 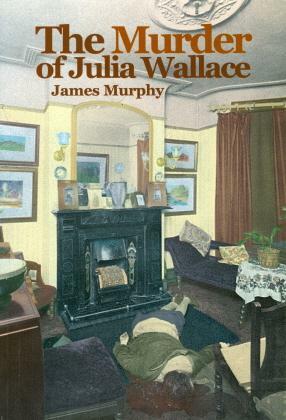 His wife Julia lay on the parlour floor, bludgeoned to death. 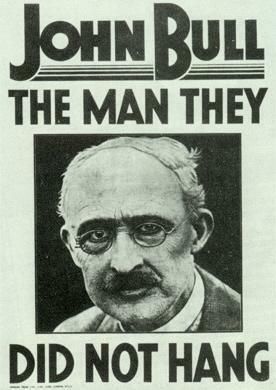 From the outset the local press emphasized the mysterious circumstances. 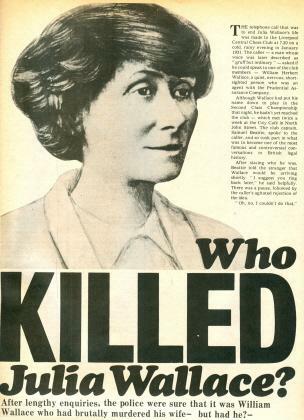 For example, the headline above a long report on page 12 of the Liverpool Echo of 21 January 1931 was ‘Baffling Liverpool Murder Nonplusses Police’. 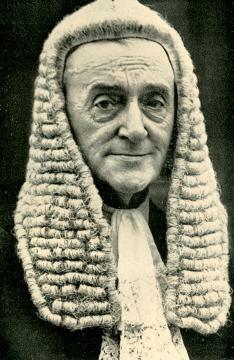 Arrested on 2 February for murder, and accused of having created the fictitious Qualtrough to give himself an alibi, Wallace was committed for trial. In court in late April he came over as cold and aloof. 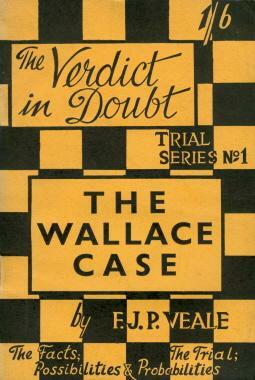 Much hinged on intricate evidence on questions of timing (concerning both the Monday and the Tuesday), and only circumstantial evidence against Wallace could be produced. 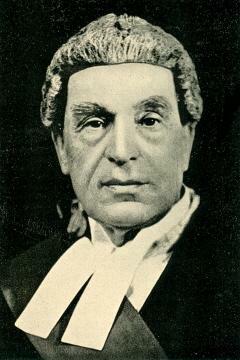 Although the judge, Mr Justice Wright, summed up favourably towards him, the jury found him guilty in little more than an hour, and he received the then mandatory sentence of death by hanging. 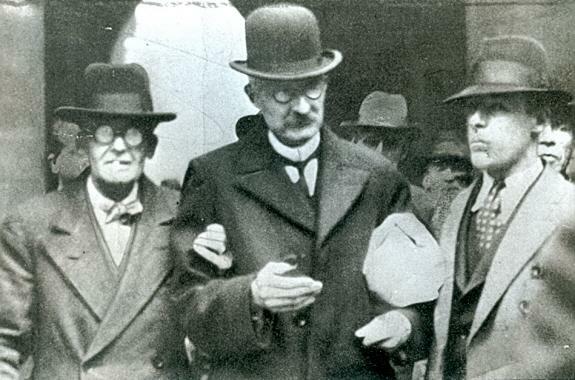 In an unprecedented development, however, on 19 May 1931 the jury’s verdict was quashed on appeal on the grounds of insufficient evidence. 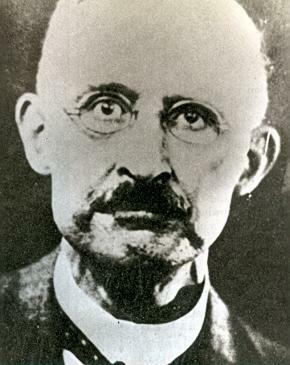 Wallace was freed, continued to protest his innocence, was shunned by many and died of a kidney ailment on 26 February 1933. No motive for the murder of his wife was ever demonstrated, no eye-witness was ever traced, and no murder weapon was ever found. The judge commented that the case ‘must be almost unexampled in the annals of crime’. 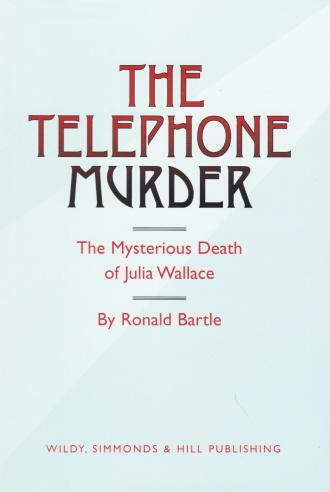 The Telephone Murder by Ronald Bartle (London, 2012). The case was discussed briefly in C.N.s 476 and 599, and now we look at the chess aspects, of which there are many, in some detail. “No, I’m afraid not”, Beattie said. “I can’t say”, replies Beattie. “I’m afraid I cannot”, Beattie said. “I don’t know”, says Beattie. 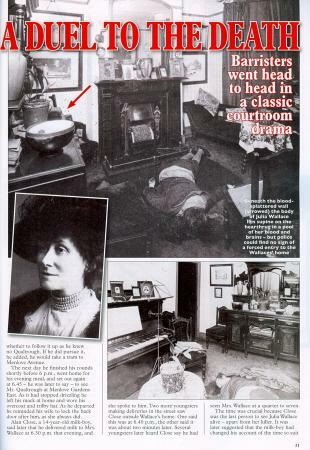 ‘It was, one should note, agreed by both prosecution and defence that the caller was certainly the murderer. And the case for that caller being Wallace was obviously the theory hammered home by the Crown, unprovable and highly unlikely though it was. It is unclear why Hussey stated that ‘Beattie had fully expected Wallace to turn up at 7.45’. Overall, scholarship seems in short supply, with few primary sources mentioned, and there are surprising discrepancies even over basic facts. 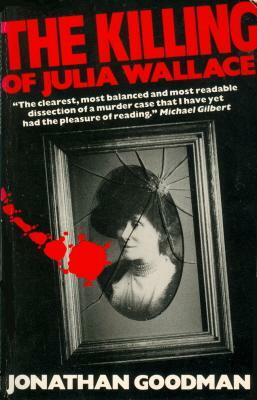 In passing we note, for instance, that whereas it has usually been stated that Julia Wallace was roughly the same age as William Herbert Wallace (early 50s), page 623 of The World’s Most Infamous Crimes and Criminals (New York, 1987) asserted that she was ‘five years younger than her husband’. In his book (pages 34-36) Murphy examined her background in some detail before concluding that she was 69 at the time of her death. For some reason an editorial note on page 198 of Raymond Chandler Speaking (published in 1962, three years after his death) took 17 years off W.H. Wallace’s age. On page 44 of Murder on Merseyside by Thomas Slemen (London, 1994) there was a reference to ‘George Wallace’. ‘Thus, the argument runs, because Wallace was due to play a game on the Monday night, Qualtrough knew that he was to attend the club. During Wallace’s appeal, Roland Oliver reiterated this argument to the appeal judges who, in their summing up, concurred with him that Qualtrough knew that Wallace would attend the chess club. However, the best that could be said was that Wallace was expected at the club to play a game against F.C. Chandler. But expectation is not knowledge. ... And it is the list, and the information it gives, that is important to Qualtrough. The list states that Wallace had not been at the club since 10 November. Why, after perusing the list, should Qualtrough conclude that Wallace would attend on 19 January? ‘James Caird arrived at the City Café at about 25 to eight. He knew that tonight was another round in the club’s second-class championship, and that he was not paired to play. But he’d come along anyway, on the off-chance of a casual game with anyone who would join him. He strolled around the various tables for several minutes watching the games progress. 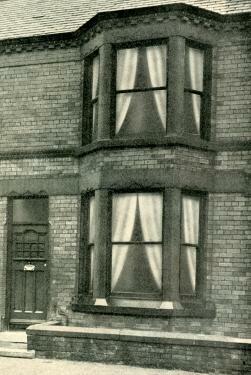 Caird was a grocer, living not far from Wallace in the same part of Anfield. The two men had known each other for years. So when, at about a quarter to eight, Caird saw Wallace arrive and hang up his hat and coat, he ambled over. But Wallace explained that he was down to play a tournament match against a man called Chandler. He wanted to get the game wiped off because he was already in arrears. Wallace moved away, threading his way between the tables in search of his partner. It seemed that Chandler hadn’t turned up, so Wallace sat down to play a game with an opponent called McCartney. Caird – who was in a class above Wallace at chess, and therefore ineligible to play him in tournaments – stood and watched the opening moves. Caird then pointed out to Beattie that Wallace was present, and Beattie went across to give Wallace the telephone message. “Can’t you get a bit nearer than that?”, Wallace persisted, apparently feeling that the exact timing of the message was a matter of considerable importance. “Well”, said Wallace, looking a little perturbed, “it is important to me, and I should like to know if you can get any nearer to it than that”. “I’m sorry, I couldn’t”, said Mr Beattie again, and there the matter was allowed to drop. “I’m very pleased to hear it, very pleased”, replied Mr Beattie. And on this friendly note the group broke up. See also pages 68-69 of Wilkes and page 167 of Hussey. 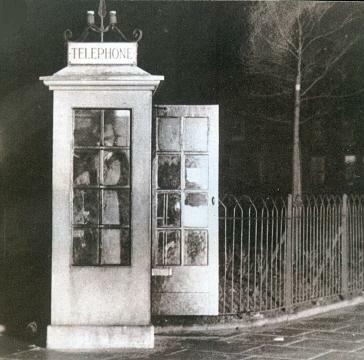 Whether by accident or design, Qualtrough had, in fact, used the telephone booth in such a way that the time of his call was recorded by the Anfield telephone exchange: 19.20. 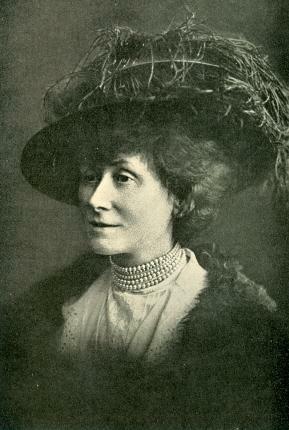 ‘For the defence, Oliver argued that Qualtrough was a thief who, knowing Wallace would be at his chess club on the Monday night, had planned to lure him from his home on Tuesday night in order to steal his insurance takings; that in the course of the theft he killed Mrs Wallace; that Wallace could not have had the time in which to kill her and that anyway, he was a loving husband who had no motive whatsoever to murder his wife. ‘How much simpler, how much more lucrative it would have been, for Qualtrough to have slipped a note to Wallace through his front door on Monday, 12 January [sic – an intentional reference to the previous week], asking him to call at 25 Menlove Gardens East the following night. It is, of course, certain that he did not. 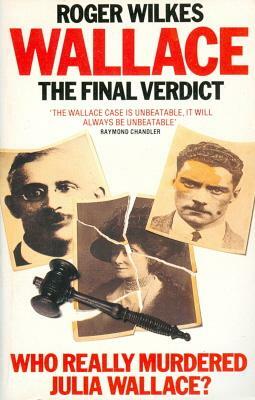 Books exist which assert that Qualtrough was Richard Gordon Parry, with whom Wallace had had some conflict, although Waterhouse’s volume suggested that Wallace and Parry collaborated on the crime. 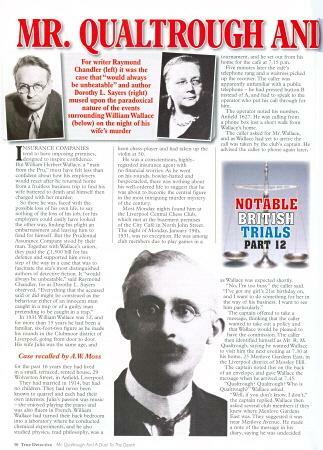 The essay by Wilson also appeared on pages 85-94 of his book World Famous Unsolved Crimes (London, 1992). ‘Chess was one of the passions of my life. Liverpool was a great chess-playing centre, and I was well known in the circle. I have no-one to play chess with now. But some evenings I get out my board, put the pieces on the squares and settle down to working out difficult problems. A minute or two passes. Then I, who in the past have matched my brains against some of the greatest players in the world, realize that I am not concentrating on the board, though I sit staring at it. Some shadow seems to rise between me and my beloved game. ‘But does it? Actually, no. ‘First: Wallace had “matched his brains against some of the greatest players in the world” – although, admittedly, it was always a pretty unequal contest. 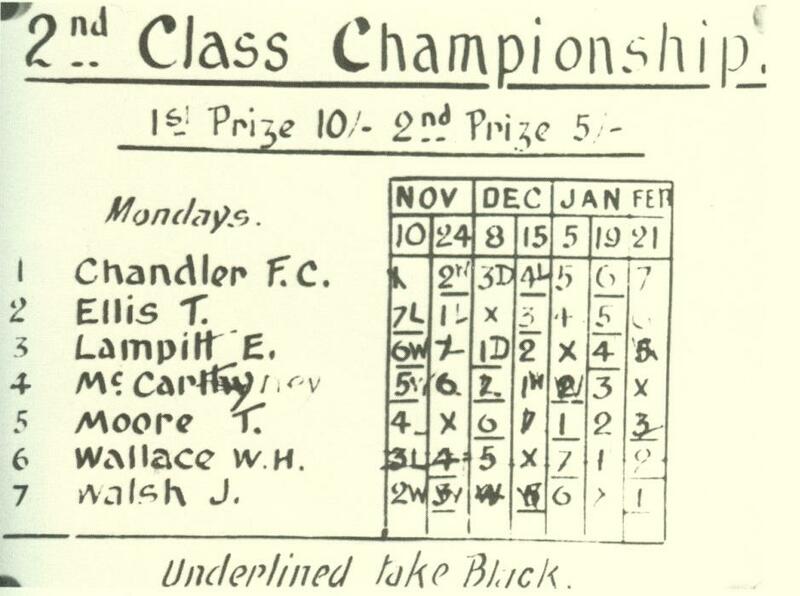 In the ’20s he had played in “simultaneous exhibition” matches when chess masters like Capablanca, Kashdan and Blackburne visited Liverpool and took on all-comers. ‘And he loved chess, though it is clear, says one chess master, that he played an execrable game. It is unclear on what grounds Alekhine, Blackburne, Capablanca and Kashdan were mentioned, as no connection between Wallace and any of them can be offered here. Kashdan’s seems an especially strange name for anyone to quote in this context. 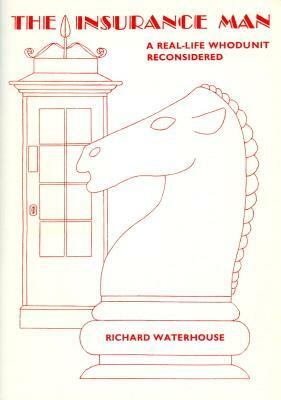 The lack of precise references and sources in books on the Wallace case is once again a grave impediment, and we should welcome assistance in drawing up a list of all references to chess in texts in Wallace’s name, whether ghosted or not. The rounded brackets above indicate the text of the diary entry as it appeared on page 278 of Wilkes’ book, but not in Bridges’ volume. 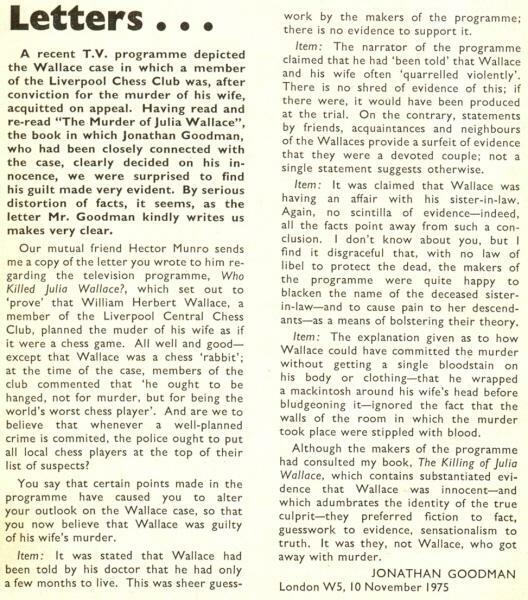 ‘As for Wallace being a chessplayer: this was interpreted to mean that he was able to devise a far more cunning murder plan than the average citizen. It was reported that he was “a master player; a man with a mind as brilliant as it was perverted, trained to think ahead to the next moves, and to anticipate the moves which his opponent would make”. 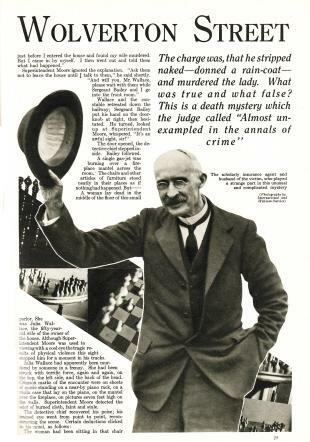 Before long people were saying that only a brilliant chessplayer such as Wallace could have conceived and carried out the scheme to murder his wife; therefore, unless the police discovered another suspect equally expert at the game, Wallace’s guilt was a foregone conclusion. Once again, it will be noted, readers of books on the case are merely given unsubstantiated and unattributed quotes. 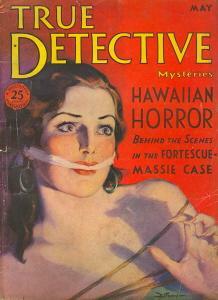 ‘Perhaps the worst libel of all was contained in an article “The Crime at 29 Wolverton Street”, which appeared in the May 1932 edition of a magazine called True Detective Mysteries. More information about that magazine item is sought. Can the reference be verified? We have the May 1932 issue of True Detective Mysteries, a New York publication, but it contains no such Wallace material. 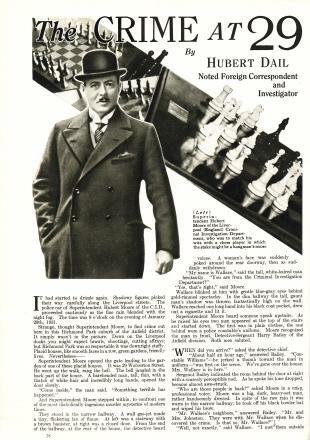 Lord Wright died in 1964, but no precise source for the Liverpool newspaper interview was supplied by Goodman. 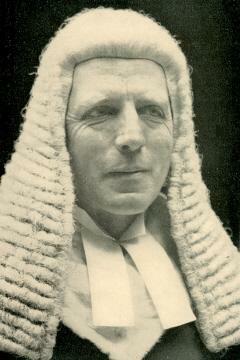 Gerald Abrahams’ treatment of the facts of the case was hardly error-free. 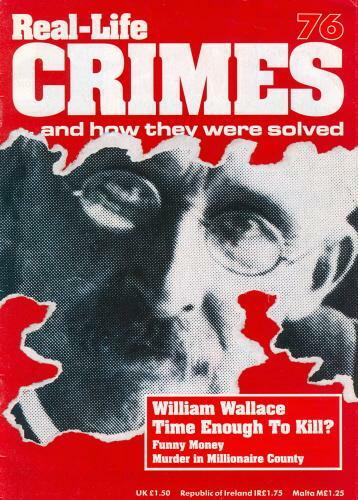 For example, on page 63 of According to the Evidence he gave the wrong year for the crime: ‘The murder of Mrs Wallace took place late in 1930 ...’ On pages 64-65, in a paragraph discussing the evening of the murder, the timings stated by Abrahams were all an hour out (six times). 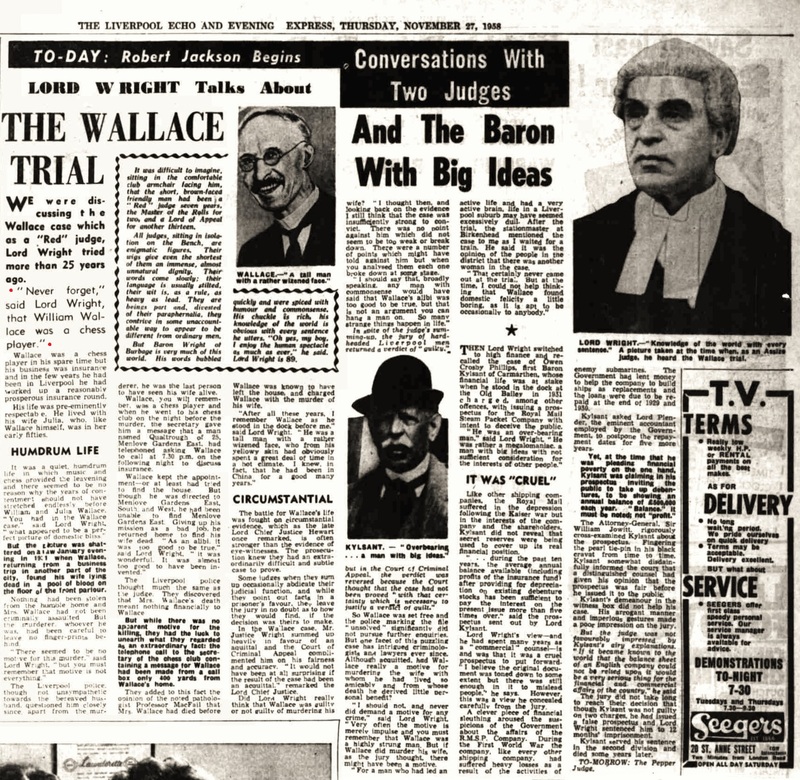 ‘Journalists have agitated their readers for many years with the question: was Wallace guilty? (1) Legally, it is academic. There was no evidence against him. (2) Personally. His acquaintances (excluding those who revel in the troubles of their “friends”) seem convinced of his innocence. 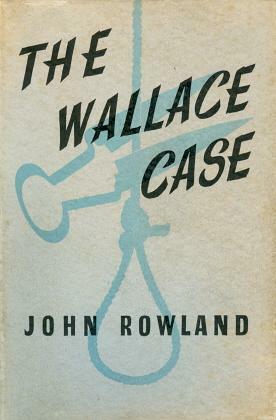 The author takes the view that to vest Wallace with guilt in the circumstances is to credit him with a mental power, a skill, an agility, a cold-blooded nerveless efficiency, of which he seemed utterly incapable. (3) Scientifically, it is a much easier hypothesis to assume another person as murderer, whose task would have been easier, mental effort less. 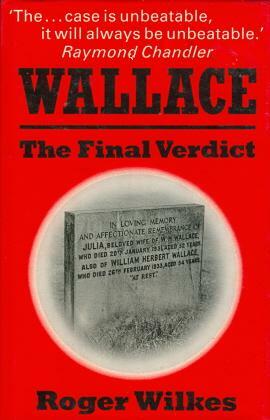 By the principle of simple explanations Wallace was innocent. ‘Hector Munro was a man who worked hard and played hard. He had many other interests besides the Law. One of his main fascinations was chess, a game at which he excelled; he represented Lancashire in matches against other counties, and played in tournaments all over the country. 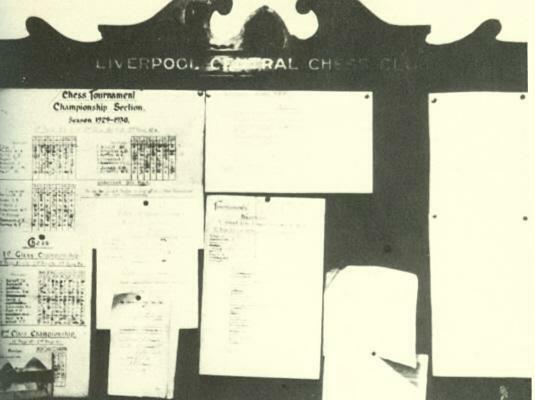 He was a member of the Liverpool Central Chess Club. 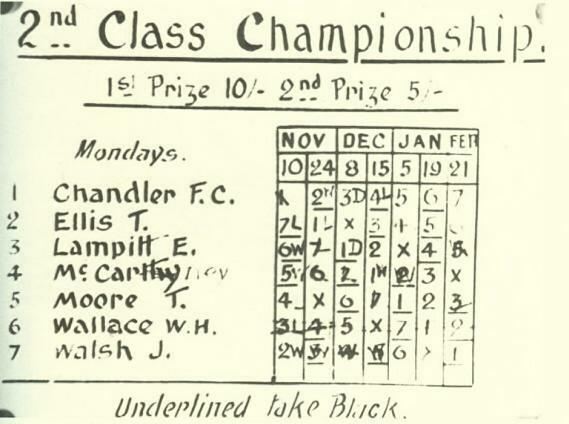 His attendances at the twice-weekly club meetings were infrequent, and he had never had the misfortune of playing chess with Wallace – indeed, he had never even spoken to him; all that he knew about Wallace was that his initials were W.H., having seen the name on tournament sheets pinned to the notice-board at the City Café. Wallace must have known a good deal more about Munro than Munro knew about him – enough, at any rate, to convince him that he was choosing the right man for what lawyers call “the temporary post of life-saver”. 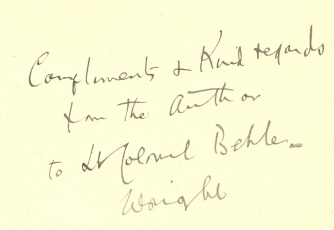 ‘I have been very much interested in the letters you have published about the Wallace case. 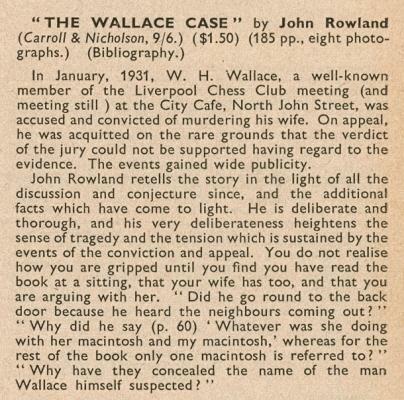 I suppose I am specially qualified to speak about this affair, because I was the solicitor for Mr Wallace until he died, and also because I was (and still am) a member of the Liverpool Central Chess Club. Knowing, I think, at least as much about this case as anyone on earth, I feel it my duty to say that in my opinion Wallace was innocent. I always held this view, and its correctness has now been confirmed by everything that has come out since the trial. 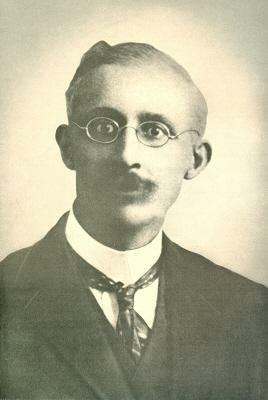 Wallace worked for the Prudential, who supported his defence, which was also much aided by the Staff. After his acquittal in the Court of Appeal he was reinstated, and I remember that he always thought that he was entitled to be treated as innocent. In this I think he was perfectly right, and it is only fair to the Central Club to say that he certainly was not excluded. 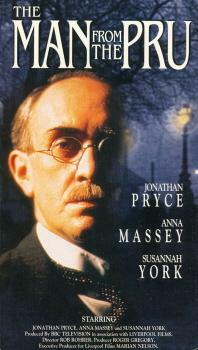 Unfortunately, he was already a sick man before the trial, and had relied much on the care of his wife. Without her, his health rapidly deteriorated, and he died in a comparatively short time. 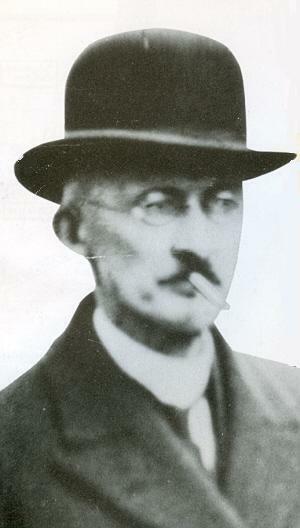 The Editor of CHESS, B.H. Wood, took a strong interest in the case. He and Harry Golombek were mentioned in the Acknowledgments on page 10 of the 1969 edition of Goodman’s book. 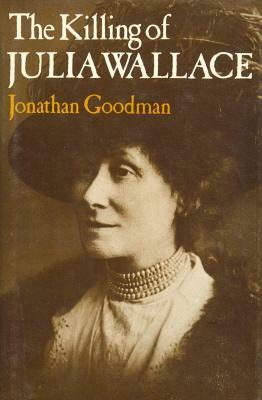 The Wallace case also prompted Goodman to write a work of fiction, The Last Sentence (London, 1978). 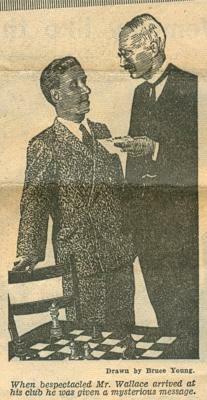 On the evening of Monday, 19 January 1948 the secretary of the Bayswater Bridge Club received a telephone call from R.M. Quilliam requesting that James Willis, the husband of Delia, go the following evening to 25 Belgrave Mews East. See, in particular, pages 11-12. Moreover, in Shadow of an Alibi by John Rhode (New York, 1948) the setting was a billiards club in Minchington. 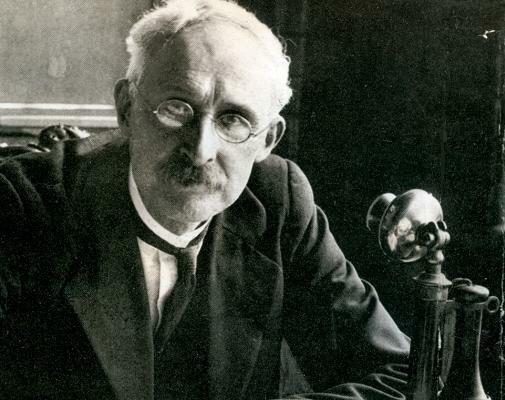 The secretary, Tom Glossop, received a telephone call from R.M. Dymhaugh requesting that William Ridgewell, the husband of Julia, go the following evening to 25 Thorney Gardens East, Crossley. See, in particular, pages 1-2. The conditions of the chess tournament in which Wallace was participating, and its relevance to the telephone call from Qualtrough. Information about the other club members and the club itself. 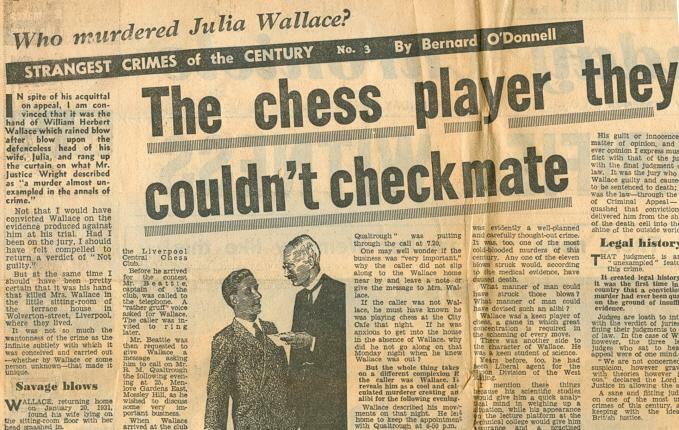 The extent to which Wallace’s liking for chess resulted in prejudice against him, by the press and/or the public. The claims in John Bull, ascribed to Wallace but apparently ghosted, which referred to his chess prowess and mentioned Blackburne, Capablanca and Kashdan. 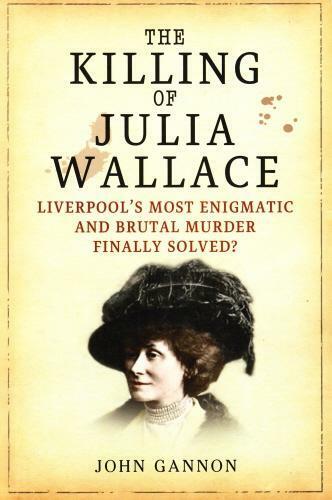 An original solution to the Wallace murder case is proposed in The Killing of Julia Wallace by John Gannon (Stroud, 2012). 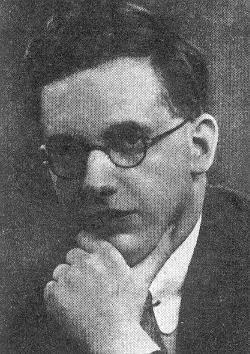 Our reading of the article is that Hubert Dail considered Wallace guilty, with Moore the hero of the account and not remotely ‘bone-headed’. Consequently, we do not understand Jonathan Goodman’s suggestion that Moore could have sued the magazine. Virtually nothing of what Goodman wrote about the True Detective Mysteries article corresponds to what appeared in it. This advertisement was on the back of the dust-jacket of the 1951 edition of William Winter’s Chess for Match Players, which was brought out by the same publisher. Latest update: 17 November 2018.